This Richelieu transitional style pull refreshes the look of kitchen and bathroom cabinets. Its slightly curved shape will add a distinguished look to your interior dicor. Transitional Metal Pull 7 9/16 in (192 mm) CtoC - Polished Nickel - Vaughan Collection Transitional metal pull by Richelieu. 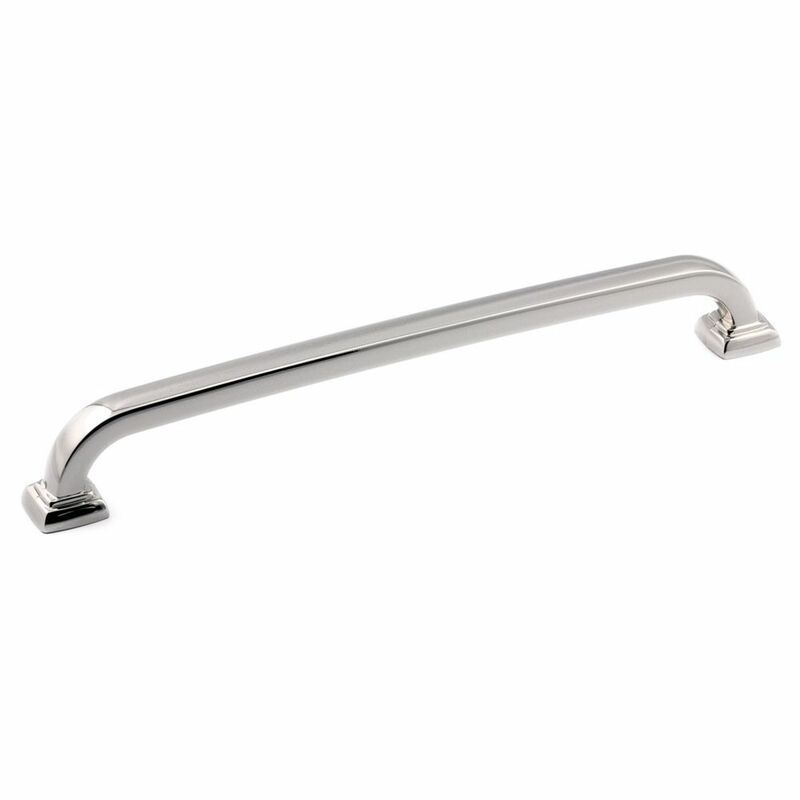 This pull consists of a square tube handle with rounded corners and a square flange at each end.